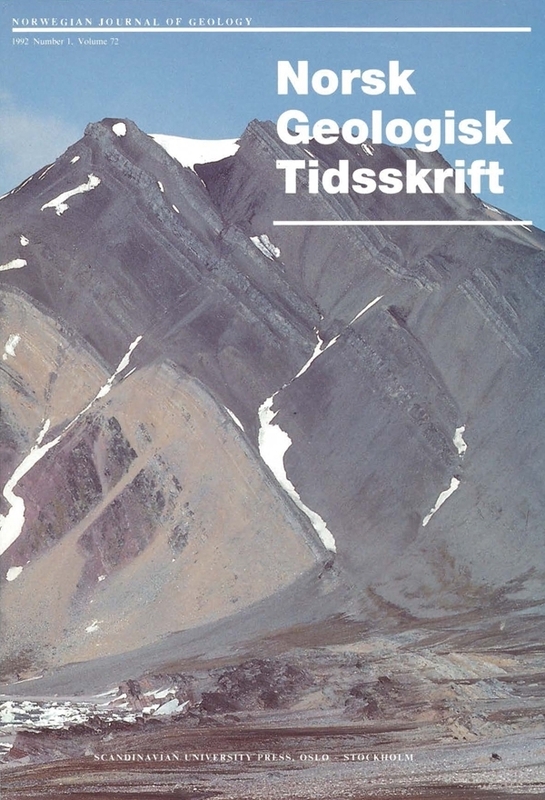 Structural observations north and south of Agardhdalen, east central Spitsbergen, demonstrate that the southem termination of the Lomfjorden Fault Complex is characterized by interacting thin-skinned and basement uplifted compressional deformation (up-thrusts). Thin-skinned deformation, characterized by thickening of units due to extensive reverse faulting, is related to at (east one and possibly two decollement zones positioned in the Triassic Sassendalen Group (Lower Decollement Zone) and the Upper Jurassic/Lower Cretaceous Janusfjellet Formation (Upper Decollement Zone), respectively. The reverse faulting, often resulting in duplex structures, is particularly well developed in the Triassic Botneheia Member. Formation of a major east-facing anticline (the Eistraryggen Anticline), involving the entire Mesozoic sequence in the area and possibly most of the pre-Mesozoicfpost-Caledonian cover rocks, post-dates the thin-skinned deformation. It is argued that the Eistraryggen Anticline is developed above a steep west-dipping basement-rooted reverse fault. All structures observed around Agardhdalen, except for some possible syn- to post-depositional Triassic extensional faults, are inferred to be Tertiary in age and to have developed contemporaneously with the West Spitsbergen Foldbelt. During this event, basin inversion of the Ny Friesland Block, bordered by the Billefjorden Fault Zone and the Lomfjorden Fault Complex, took place. Steffen G. Bergh, Institutt for Biologi og Geologi, Universitetet i Tromsø, P.O. Box 3085 Guleng, 9001 Tromsø, Norway. *Present address: Norsk Hydro a.s. PO Box 200, 1321 Stabekk, Norway.